Having trouble keeping up with all there is to know about employee background screening? FYI Screening stays on top of the latest industry news, trends and relevant compliance issues. We are a powerful source of advice, information, and experience. One of the best ways to tap into our vast source of information is to follow us on Twitter @fyiscreening. “State and local governments are increasingly adopting laws and regulations that prohibit employers from requesting salary history information from job applicants. FYI Screening provides reliable, in-depth, and compliant background checks for organizations of every size. We offer a beautiful, user-friendly background screening system, backed by in-depth expertise, and great customer service. FYI Screening provides you with everything you need to create a compliant and effective background screening process for your company. This is part 4 of a 4 part series on workplace drug testing. Who pays for a drug test? Does an employee have to be paid for time spent having a drug test? According to the Substance Abuse and Mental Health Services Administration (SAMHSA), an employer normally pays for a drug test. Also, time spent having a required drug test is generally considered hours worked (and thus compensable time) under the Fair Labor Standards Act (FLSA), a U.S. Department of Labor (DOL) regulation, for employees who are covered by the Act. These types of issues are overseen by DOL’s Wage and Hour Division. For further guidance, please contact the closest DOL Wage and Hour District Office. In most cases it is legal for employers to test employees for drugs. No Federal laws prohibit the practice. However, there are several states that restrict or question an employer’s ability to randomly drug test employees who are not in safety-sensitive positions. Thus, it is very important that employers familiarize themselves with the various state laws that may apply to their organization before implementing a drug-testing program. Furthermore, under certain circumstances, someone with a history of alcoholism or drug addiction may be considered a qualified individual with a disability under the Americans with Disabilities Act (ADA) and other Federal non-discrimination statues. As a result, testing for alcohol without individualized suspicions (e.g. pre-employment or random) is not allowable. How does one start a drug-testing program? Drug testing is only one component of a comprehensive drug-free workplace program, which also includes a written policy that clearly outlines employer expectations regarding drug use; training for supervisors on the signs and symptoms of drug use and their role in enforcing the policy; education for employees about the dangers of drug use; and an Employee Assistance Program (EAP) to provide counseling and referral to employees struggling with drug problems. DOL’s online Drug-Free Workplace Advisor helps employers develop customized drug-free workplace policies (that may or may not including drug testing) by reviewing the different components of a comprehensive policy and then generating a written policy statement based on the user’s responses to pre-set questions and statements. (An organization’s name and logo can be incorporated and further modifications to the statement made if desired.) If an organization already has a drug-free workplace policy in place, this tool can be used to ensure it addresses all necessary issues. Because it is important to understand and incorporate the various state and Federal regulations that may apply, it is also recommended that legal consultation be sought before commencing a drug testing program. A comprehensive drug-free workplace program contributes to a workplace free of the health, safety and productivity hazards caused by employees’ abuse of alcohol or drugs. By educating employees about the dangers of alcohol and drug abuse and encouraging individuals with related problems to seek help, employers can protect their businesses from such dangers, retain valuable employees and help play a part in making communities safer and healthier. 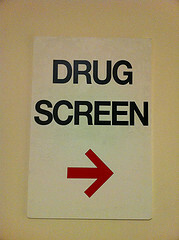 FYI Screening is fully integrated with eScreen to provide drug-screening services to employers nationwide. eScreen’s online management system is power-packed with every tool you need to hire and maintain a healthy, drug-free workplace. Click here to schedule a demo of our online drug testing system. This is part 3 of a 4 part series on workplace drug testing. What drugs do tests detect? How does a drug test determine if a person has been using substances? What are cut-off levels and what do they determine? Aside from a breath alcohol test, drug testing does not determine impairment or current drug use. Rather, drug testing determines a specified amount or presence of a drug or its metabolite in urine, blood or an alternative specimen. There is a minimum measurement applied to drug testing so that only traces of a drug or its metabolite above a specified level is reported as positive. This measure is known as a “cut-off level,” and it varies for each drug. Setting cut-off levels involves understanding the expected results of testing and determining the needs of the employer’s drug-free workplace program. For instance, if a cut-off level is set low, test results will come back with more “false positives” as some “passive” users could test positive. (For example, a low cut-off level could cause a positive result from consuming poppy seeds.) Conversely, a high cut-off level will result in more “false negatives,” and thus some users may go undetected. However, a high cut-off level lessens the likelihood of taking action against someone based on “passive” exposure, and for this reason SAMHSA’s guidelines set cut-off levels on the high side. This is part 2 of a 4 part series on workplace drug testing. Part 1 can be found here. Pre-Employment: Pre-employment testing is conducted to prevent hiring individuals who illegally use drugs. It typically takes place after a conditional offer of employment has been made. Applicants agree to be tested as a condition of employment and are not hired if they fail to produce a negative test. However, it is possible for employees to prepare for a pre-employment test by stopping their drug use several days before they anticipate being tested. Therefore, some employers test probationary employees on an unannounced basis. Some states however, restrict this process. Furthermore, the Americans with Disabilities Act (ADA) of 1990 prohibits the use of pre-employment testing for alcohol use. Reasonable Suspicion: Reasonable suspicion testing is similar to, and sometimes referred to, as “probable-cause” or “for-cause” testing and is conducted when supervisors document observable signs and symptoms that lead them to suspect drug use or a drug-free workplace policy violation. It is extremely important to have clear, consistent definitions of what behavior justifies drug and alcohol testing and any suspicion should be corroborated by another supervisor or manager. Since this type of testing is at the discretion of management, it requires careful, comprehensive supervisor training. In addition, it is advised that employees who are suspected of drug use or a policy violation not return to work while awaiting the results of reasonable suspicion testing. Random: Random testing is performed on an unannounced, unpredictable basis on employees whose identifying information (e.g., social security number or employee number) has been placed in a testing pool from which a scientifically arbitrary selection is made. This selection is usually computer generated to ensure that it is indeed random and that each person of the workforce population has an equal chance of being selected for testing, regardless of whether that person was recently tested or not. Because this type of testing has no advance notice, it serves as a deterrent. Periodic: Periodic testing is usually scheduled in advance and uniformly administered. Some employers use it on an annual basis, especially if physicals are required for the job. Such tests generally are more accepted by employees than unannounced tests, but employees can prepare them by stopping their drug use several days beforehand. Return-to-Duty: Return-to-duty testing involves a one-time, announced test when an employee who has tested positive has completed the required treatment for substance abuse and is ready to return to the workplace. Some employers also use this type of testing for any employee who has been absent for an extended period of time. Other: Other types of tests are also used by some employers. For example, follow-up testing or post-rehabilitation testing is conducted periodically after an employee returns to the workplace upon completing rehabilitation for a drug or alcohol problem. It is administered on an unannounced, unpredictable basis for a period of time specified in the drug-free workplace policy. 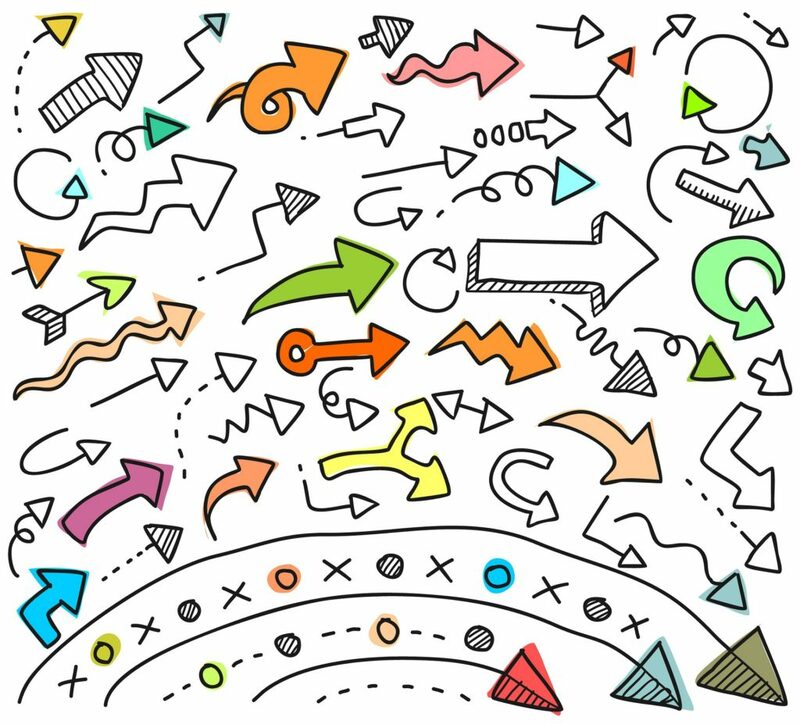 Another type of testing, blanket testing, is similar to random testing in that it is unannounced and not based on individual suspicion; however, everyone at a worksite is tested rather than a randomly selected percentage. Other types of testing include voluntary, probationary, pre-promotion and return-after-illness testing. What are the different methods of drug testing? There are a number of different bodily specimens that can be chemically tested to detect evidence of recent drug use. Although some state laws dictate which types of tests can be used, a number of options are technologically feasible. Urine is the most commonly used specimen for illicit drugs, reflecting SAMHSA’s guidelines, and breath is the most common for alcohol, reflecting DOT’s guidelines. Urine: Results of a urine test show the presence or absence of drug metabolites in a person’s urine. Metabolites are drug residues that remain in the body for some time after the effects of a drug have worn off. It is important to note that a positive urine test does not necessarily mean a person was under the influence of drugs at the time of the test. Rather, it detects and measures use of a particular drug within the previous few days and has become the defacto evidence of current use. Because alcohol passes rapidly through the system, urine tests must be conducted very quickly after alcohol consumption in order to ensure any degree of accuracy. For this reason, urine tests are generally not helpful in detecting alcohol use as opposed to illicit and prescription drug use, which is more easily traced in urine. Breath: A breath-alcohol test is the most common test for finding out how much alcohol is currently in the blood. The person being tested blows into a breath-alcohol device, and the results are given as a number, known as the Blood Alcohol Concentration (BAC), which shows the level of alcohol in the blood at the time the test was taken. BAC levels have been correlated with impairment, and the legal limit of 0.08 for driving has been set in all states. Under DOT regulations, a BAC of 0.02 is high enough to stop someone from performing a safety-sensitive task for a specific amount of time (usually between 8 and 24 hours) and a BAC reading of 0.04 or higher is considered to be a positive drug test and requires immediate removal from safety-sensitive functions. Under DOT regulations, a person who tests at the 0.04 BAC level may not resume job duties until a specific return-to-duty process has been successfully completed. Other alternative specimens that can be used for detecting the use of selected drugs of abuse include blood, hair, oral fluids and sweat. Blood: A blood test measures the actual amount of alcohol or other drugs in the blood at the time of the test. Blood samples provide an accurate measure of the physiologically active drug present in a person at the time the sample is drawn. Although blood samples are a better indicator of recent consumption than urine samples, there is a lack of published data correlating blood levels for drugs and impairment with the same degree of certainty that has been established for alcohol. In cases of serious injury or death as the result of an accident, the only way to determine legal intoxication is through a blood specimen. There is also a very short detection period, as most drugs are quickly cleared from the blood and deposited into the urine. Hair: Analysis of hair provides a much longer “testing window,” giving a more complete drug-use history going back as far as 90 days. Like urine testing, hair testing does not provide evidence of current impairment, but rather only past use of a specific drug. 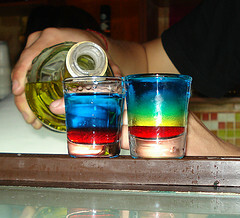 Hair testing cannot be used to detect for alcohol use. Hair testing is the least invasive form of drug testing, therefore privacy issues are decreased. Oral Fluids: Saliva, or oral fluids, collected from the mouth also can be used to detect traces of drugs and alcohol. Oral fluids are easy to collect (a swab of the inner cheek is the most common collection method), harder to adulterate or substitute, and may be better at detecting specific substances, including marijuana, cocaine and amphetamines/methamphetamines. Because drugs do not remain in oral fluids as long as they do in urine, this method shows promise in determining current use and impairment. Sweat: Another type of drug test consists of a skin patch that measures drugs in sweat. The patch, which looks like a large adhesive bandage, is applied to the skin and worn for some length of time. A gas-permeable membrane on the patch protects the tested area from dirt and other contaminants. Although relatively easy to administer, this method has not been widely used in workplaces and is more often used to maintain compliance with probation and parole. This is part 1 of a 4 part series on workplace drug testing. Drug testing is one action an employer can take to determine if employees or job applicants are using drugs. It can identify evidence of recent use of alcohol, prescription drugs and illicit drugs. Currently, drug testing does not test for impairment or whether a person’s behavior is, or was, impacted by drugs. Drug testing works best when implemented based on a clear, written policy that is shared with all employees, along with employee education about the dangers of alcohol and drug abuse, supervisor training on the signs and symptoms of alcohol and drug abuse, and an Employee Assistance Program (EAP) to provide help for employees who may have an alcohol or drug problem. Generally, most private employers have a fair amount of latitude in implementing drug testing as they see fit for their organization, unless they are subject to certain Federal regulations, such as the U.S. Department of Transportation’s (DOT) drug-testing rules for employees in safety-sensitive positions. Federal agencies conducting drug testing must follow standardized procedures established by the Substance Abuse and Mental Health Services Administration (SAMHSA), part of the U.S. Department of Health and Human Services (DHHS). While private employers are not required to follow these guidelines, doing so can help them stay on safe legal ground. Court decisions have supported following these guidelines, and as a result, many employers choose to follow them. These Mandatory Guidelines for Federal Workplace Drug Testing (also called SAMHSA’s guidelines) include having a Medical Review Officer (MRO) evaluate tests. They also identify the five substances tested for in Federal drug-testing programs and require the use of drug labs certified by SAMHSA. These five illicit drugs are: Amphetamines (meth, speed, crank, ecstasy), THC (cannabinoids, marijuana, hash), Cocaine (coke, crack), Opiates (heroin, opium, codeine, morphine) and Phencyclidine (PCP, angel dust). The most common method of drug testing is urinalysis. FYI Screening offers an internet-based drug screen system through it’s fully integrated partner, eScreen. eScreen developed eCup which is a patented urine collection device designed to allow for rapid, under-seal screening. A major advantage to the “smart” cup is that it doesn’t require human intervention or interpretation—which means no chance of human error. Our drug screening system uses drug labs certified by SAMHSA and a Medical Review Officer (MRO) to evaluate tests. Who is allowed access to the results of a drug test? 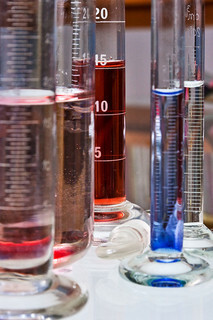 The result of a drug test may be considered personal health information. Consequently, there may be restrictions on how and whether such information (as well as other information related to an employee’s history of alcohol or drug use) can be shared with others. This is why employees who undergo a drug test generally must sign a release (usually at the time of the test) in order for their employer to receive the results. For more information about issues related to the release of health information, contact DHHS. This agency administers the Health Insurance Portability and Accountability Act (HIPAA), which dictates under what circumstances and to whom health information may be released. More information about this issue can be found on Office of Civil Rights HIPAA Web page. “I am thrilled with getting our background checks online using FYI Screening. The process is very quick, easy and enables us to make our decisions much faster and safer. The system is easy to understand and gives you the capability to go back and find archived reports at any time. It has made my job so much more efficient and protects our Company because we know ahead of time about their background. If something does come up that is out of the ordinary, it is easy to get in touch with a live person who can help navigate the system and answer my questions. It is also very cost effective."